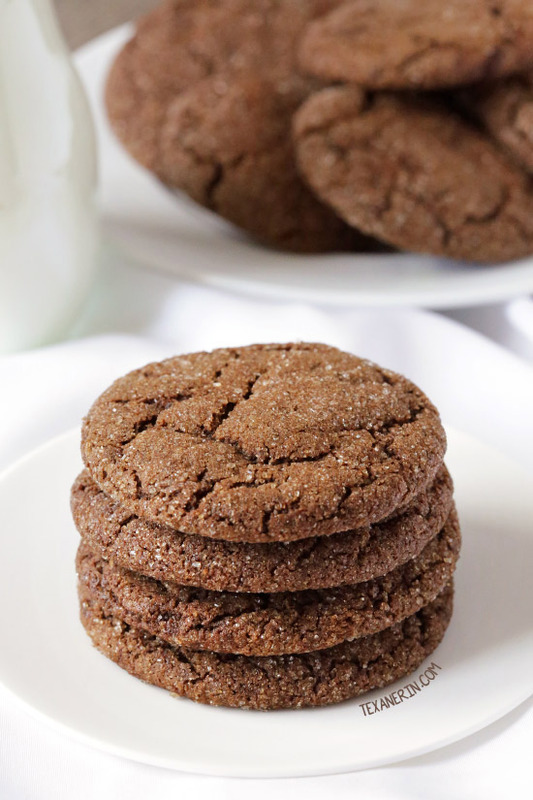 Soft and chewy molasses cookies made a little healthier! With gluten-free, vegan, 100% whole grain and dairy-free options. Scroll to the bottom of the post for a how-to recipe video. Up until last night when I posted this picture on Instagram, I thought I was pretty much alone in my molasses cookie love. It’s like… you tell some people that you’re bringing chocolate chip cookies / peanut butter cookies / anything other than molasses cookies to a party and this is their reaction. I don’t get it. Molasses cookies are amazing! When I was in school, sometimes I’d find some Archway molasses cookies in my lunchbox. 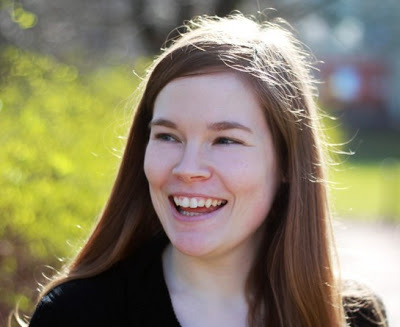 The kind that came (come?) in a cardboard package with cellophane. I absolutely loved them! I haven’t had one in ages, but I’m positive that these healthy molasses cookies are just as good or even better and they definitely don’t have any of that funky stuff that pre-packaged cookies tend to have. 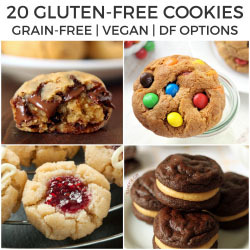 If molasses cookies aren’t your thing, check out these other gluten-free cookies recipes! This was one of the first recipes I posted on my blog and I’m posting an updated version today with more ingredients options (different types of flours, sugars, and a gluten-free version!) Please read the notes section of the recipe for instructions on how to make the gluten-free recipe. And if you prefer a grain-free version, these soft and chewy ginger cookies taste similar, although their texture is totally different. 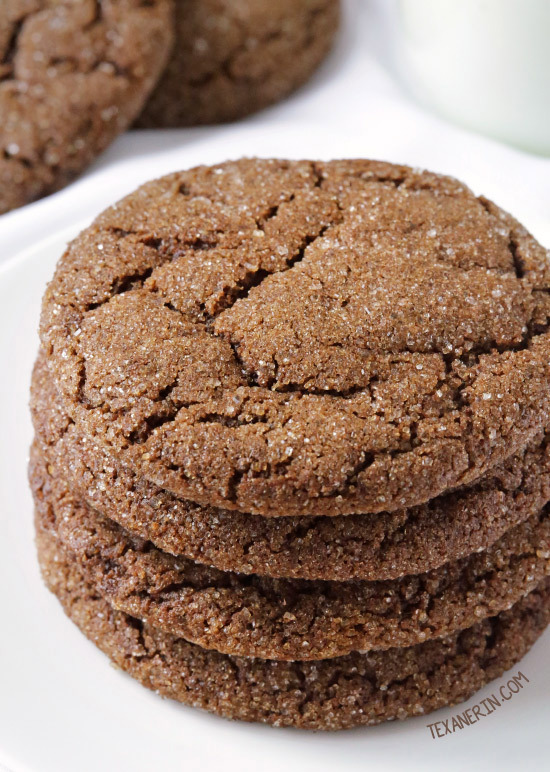 You can make these gluten-free molasses cookies with cookie cutters, too! If you want to do that, you definitely need to chill the dough first for a few hours to make it easier to roll out and handle. I wish I could say that this recipe is my own original creation but I’ve been making it since I was about 10 years old and have no idea where it came from. I looked for the source but I think I’ve made too many changes over the years to recognize the original. If anyone recognizes it, please let me know! Sometimes I like to add a little orange zest but I usually prefer my molasses cookies plain. You can also rub some orange zest in the sugar you use to roll the cookie dough in for an outer orangey sugary coating. In the cookies pictured, I used blackstrap molasses and brown sugar. If you use coconut sugar or regular molasses, your cookies may be darker or lighter. And if you don’t roll them in sugar, then they likely won’t crackle. I had to make these molasses cookies six times over the past two months to get the pictures. The cookies keep well for several days and so I figured I’d just make them when I had time and take pictures when a sunny day (or more realistically, a few sunny hours) rolled around. In a medium mixing bowl, mix together the flour, baking soda, salt, and spices. In a large mixing bowl, mix together the remaining ingredients except for the 3 tablespoons raw sugar. Add the dry mix to the wet mix and stir just until combined. Depending on the combination of ingredients used, you may need to refrigerate the dough for 1-2 hours or until the dough is firm enough to easily roll into balls. If you used coconut sugar, you must refrigerate the dough (regardless of whether or not it's firm) for at least an hour. The ones pictured were made from non-refrigerated dough. If you refrigerate the dough, the cookies will be a little thicker. Preheat the oven to 350 °F (175°C) and line a baking sheet with a piece of parchment paper. Roll the dough into 40 gram balls (about 1 1/2"), roll them in the sugar, flatten them a little with the palm of your hand, and bake for 6-9 minutes. Let the cookies cool for 3 minutes on the baking sheet and then remove to a wire rack to cool completely. The dough will be quite wet. You'll need to refrigerate it for 1-2 hours or until firm enough to easily roll into balls. The cookies won't crackle as much as the ones pictured (and may not crackle at all). You do not need to press the cookies down with your palm. They appear to spread quite thin but then puff up. My cookies were perfectly done at 7 1/2 minutes. Earlier than that and they were uncooked in the middles and any longer than that and they became cakey. All ovens are different so I recommend doing one test cookie to make sure 7 1/2 minutes is correct for your oven. The middle should no longer appear wet when they're ready. When you take the cookies out of the oven, slide the piece of parchment paper (along with the cookies) onto the countertop so that they don't continue to bake. If they're firm enough to remove with a spatula, you could also just do that. These don't taste 100% like the ones made with wheat. They have a slightly grainy texture that you sometimes get when you use rice flour. It's really noticeable when you eat them straight from the oven and much less noticeable once they've cooled. If you use coconut sugar, please weigh it instead of using a 1/2 cup measurement. If you don't have a scale, then pack the 1/2 cup really tightly. 118 comments on “Molasses Cookies (gluten-free, vegan, whole grain options)” — Add one! These cookies are delicious!! They are slightly crunchy on the outside and soft on the inside. I followed the recipe exactly (using all purpose flour and a flax egg) and everyone in my family loved them!! I’m so sorry for just now seeing your comment! I’m really glad that everyone enjoyed them. :) Thanks for your feedback and sorry again for my slow reply! What are your thoughts on using this recipe with avocado oil and almond flour? Or are there any other flour substitutes that would work well with this recipe? These are so ridiculously delicious! They are, without a doubt, my favorite Christmas cookie recipe. I replaced the egg with a flax egg and the flour with King Arthur’s all-purpose flour (and added the 3/4 tsp xanthan gum). It is such a great feeling to have a GF cookie recipe that turns out well reliably. Thank you! I made these GF using King Arthur Alll Purpose cup for cup blend. It worked so well, my mom loves them too! Soooo good! Erin replies to Emily K.
These were great! I made the gf/vegan one (my own gf flour) and then tried a 1/2 whole wheat and 1/2 white flour one. I was afraid the blackstrap molasses would be bitter but it is surprisingly perfect. 5 stars! Thanks! You’re welcome! I’m happy that you enjoyed them. :) It’s great to know that the recipe works with other GF flour blends, too. Thanks for your comment! I’ve made these twice now. I used all-purpose flour and an egg. Not too sweet, good taste from the spices, and a bit of salt comes out. So good! My dad doesn’t like cookies, but these he will eat 3 at a time. Thank you for sharing. Aww, yay! So happy you and your dad enjoyed them. :) Thanks a bunch for your comment and sorry for my slow reply (Christmas chaos got in the way!). Just made these and I am in love! I used whole wheat flour and egg. They were nice and chewy and I had them in for about 9 minutes. Thank you for the recipe, I’ll definitely be making these again! Hi, my mixture has been in the fridge for over 1 hour and it’s flaky. There’s no way balls will hold together. What do I do?? Flaky? None of the commenters have ever mentioned that. I also just made them tonight and while the dough is quite thick, it shouldn’t be flaky! Did you make any subs or changes to the recipe at all? You could try mixing in a little liquid (water or milk), a bit at a time, until it holds together. I’m so happy that they worked out well! I also love the look when rolled in sugar. :) Thanks a bunch for your feedback! Sounds delish! How would I adjust this recipe for high altitude baking? Did you melt the coconut oil first before measuring? Or scoop it as a dry ingredient? Thanks! You can measure the coconut oil before or after melting – it’s the same. :) And I unfortunately have zero experience with high altitude baking but I think this guide might be helpful! Sorry I don’t have a better answer for you.